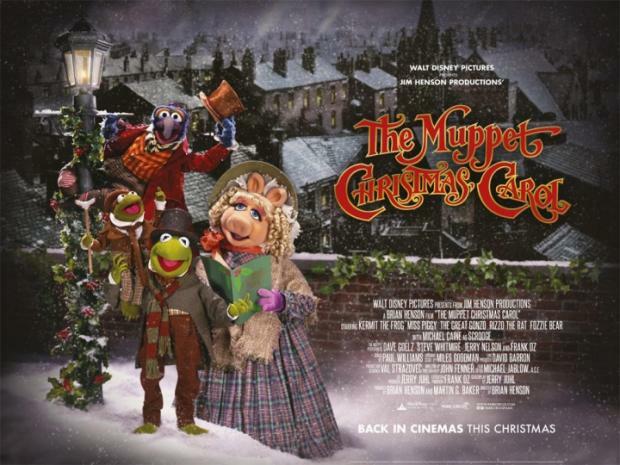 Joy to the world… the Muppets sing! The Marleys were dead, to begin with. This is one of the scariest (albeit slightly tweaked) opening lines of any Christmas story, or indeed any story, especially one that stars the Muppets. Charles Dickens’ beloved Christmas classic is renowned for being a little bit dark, especially the silent but deadly Ghost of Christmas Yet to Come… so is this adaptation really suitable for children? Well, despite the fact that the third Ghost is so terrifying that Gonzo and Rizzo actually hide in the church when he appears (leaving poor Scrooge to his fate), this film continues to capture the (thankful) hearts of everyone who watches it. It says a lot for Michael Caine’s calibre of acting – we do hate him, especially when you see the poor little rabbit shivering in the rubbish, but he interact well with all of his co-stars (men and Muppets) and gradually, we start to see him change from embittered old man, to a kind-hearted ‘second father to Tiny Tim. This song is on the VHS but was removed after younger viewers were found to become restless during this part (perhaps because no Muppets are in it). I actually stop the film during this scene and play the song from the soundtrack separately (no, I’m not ashamed). The song is also reprised at the end and is then sung with the credits, so it seems a shame that it’s absent from the film. Directed by Brian Henson, this is the first Muppet film after the death of creator Jim Henson and it’s a roaring success. It’s become a classic Christmas film and ironically is one of the truest adaptation of Dickens’ story!